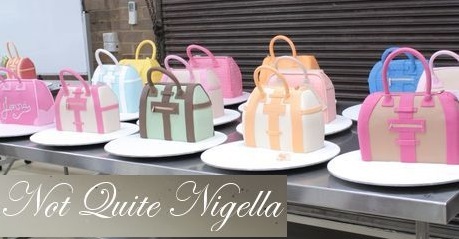 Designer handbag cakes are an ever popular birthday cake and special occasion cake request for cake decorators. 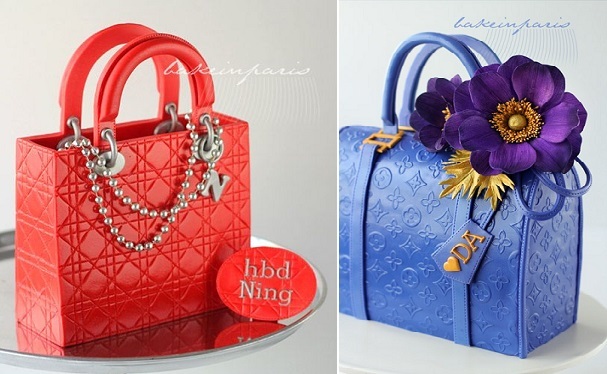 We have two exquisite works of art above by the super-talented Kris Ngoei of Bake in Paris – a luxurious red Dior and a smart blue LV handbag cake. 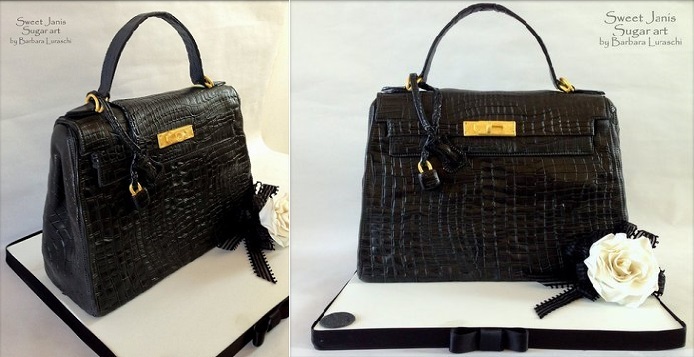 Below, we have a fabulous Hermes handbag cake by Barbara Luraschi of Sweet Janis Sugar Art, with all the details of Hermes “Kelly” bag design re-created exquisitely. 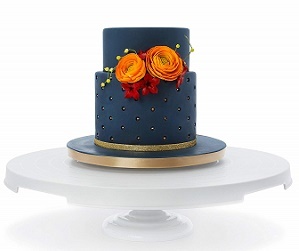 If Mulberry is your designer of choice, we have a very stylish Mulberry bag cake tutorial for you here by Kingfisher Cakes. 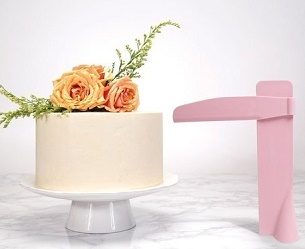 Marc Jacobs also tops the list of the most lusted-after handbags and we have a tutorial for the superb cake below from The Art of Dessert: Marc Jacobs handbag cake tutorial. 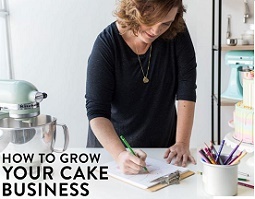 For ladies who love vintage, we have a beautiful silk clutch bag cake tutorial by Cake Deluxe (via Foodfulife blog), as featured below. 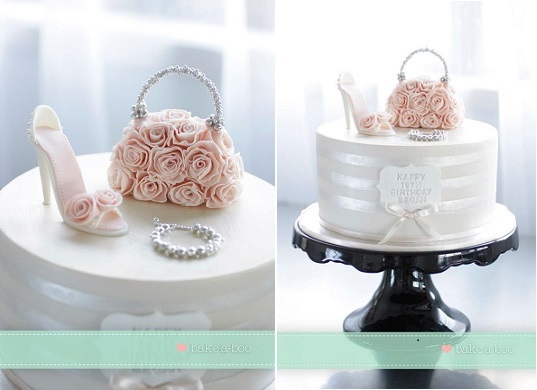 Bake-A-Boo Cake Design in New Zealand never fail to produce the most beautiful of cake designs and the unbelieveably pretty cake below is no exception with a stunning vintage rose handbag with “jewel encrusted” handle and matching stiletto shoe caket topper. 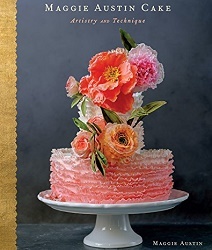 Rose Sen also has a great bag cake tutorial on her blog here, including instructions for a beautiful ruched Bottega Veneta clutch bag: cake carving tutorial for bag cakes and clutch bag cake tutorial (Bottega Venetta). 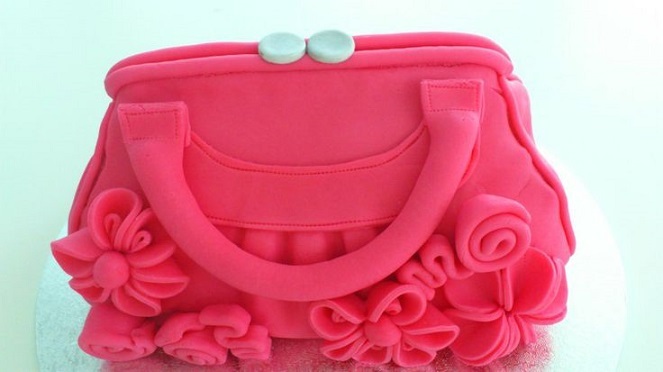 You’ll find instructions to create the beautiful handbag design below here on Not Quite Nigella: handbag cake tutorial (based on the designer handbag class at Planet Cake, Australia). 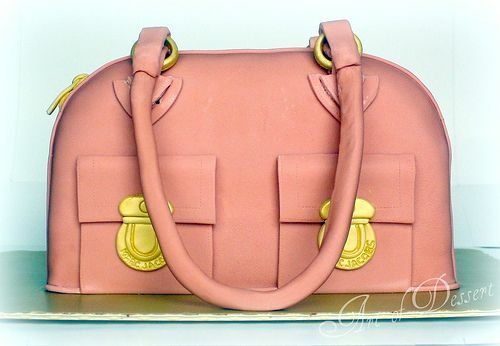 The tutorial for the very cute vintage handbag cake below is available at the wonderful Jessicakes blog right here: handbag cake tutorial. 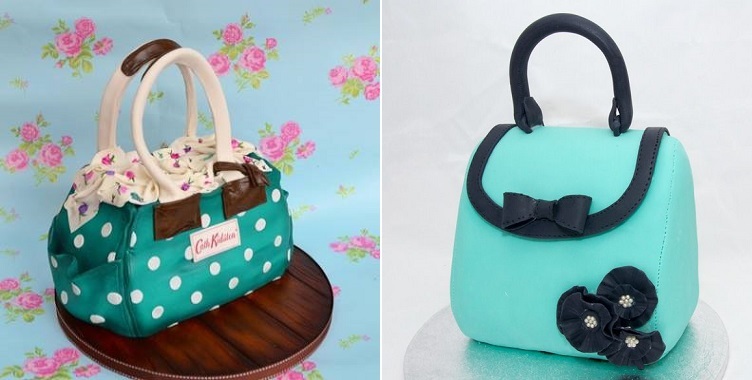 The Roses & Bows Cakery in Ireland have created the beautiful Cath Kidson inspired handbag cake, below left,which is almost life-like in it’s recreation of the real thing. 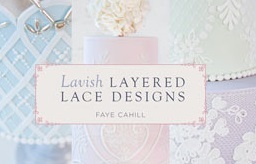 The pretty aqua handbag cake below right is from Scandinavia’s Kake Festen with a tutorial available on this design here: handbag cake tutorial. 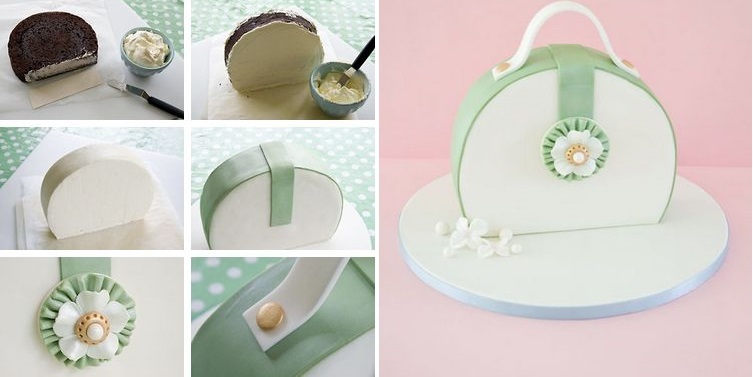 Cake Journal features the super easy handbag cake tutorial below in a chic vintage style with pretty clasp. 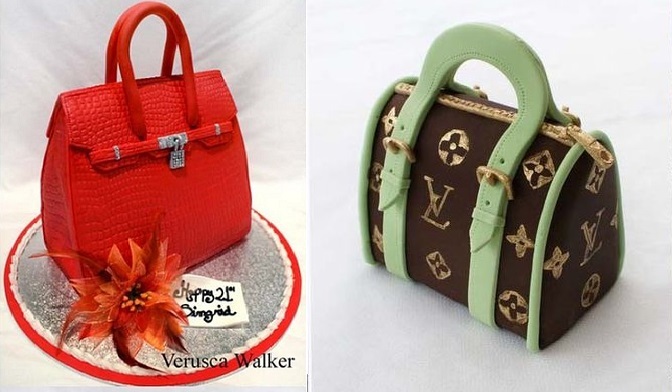 The doyenne of the high-fashion cakes, Verusca Walker, has created a picture tutorial for her ultra chic Hermes handbag and Louis Vuitton bag cake topper you’ll find here: Hermes handbag cake tutorial and Louis Vuitton handbag cake topper tutorial (cake topper). 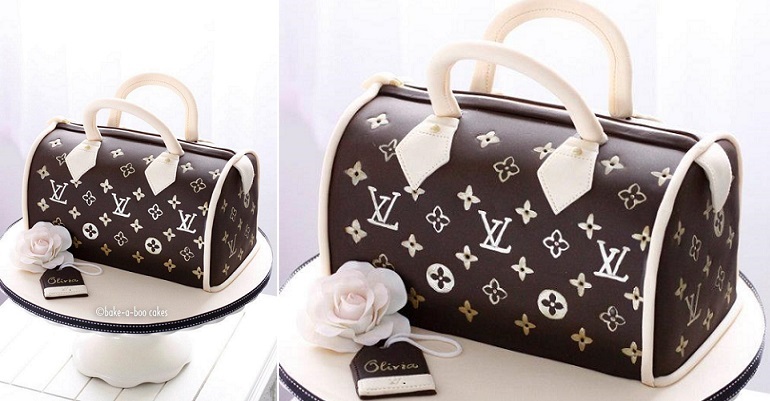 We have another LV handbag cake tutorial for the design below by the Dumitru Felicia blog. 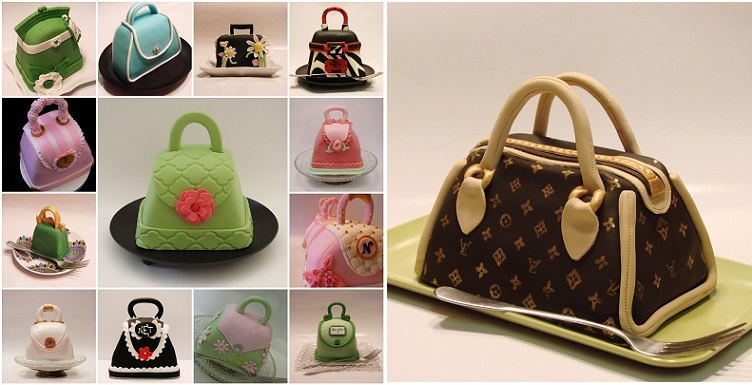 Spanish designers, Ilusiona Cakes have created the show-stopping green Mulberry handbag cake (below left) with masterful attention to the design details. 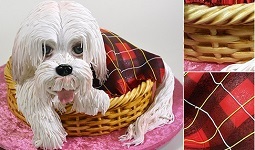 Bake-A-Boo Cake Design, New Zealand have also created a stunning cake replica of the LV classic, below. 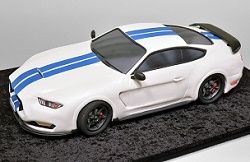 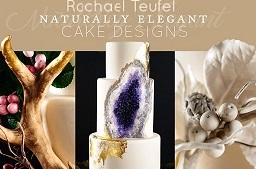 Cake Envy is the home of the cakelet, the adorable and ingenious mini cakes for one. 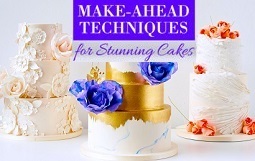 You’ll find a tutorial for these pretty cakelets below from Cake Envy, right here: mini handbag cake tutorials. 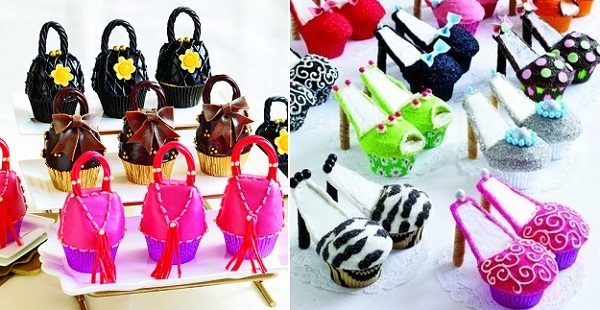 We have more miniature-size handbags in the form of cute cupcakes as featured in the book, Cupcakes, Cookies, and Pie, Oh My! 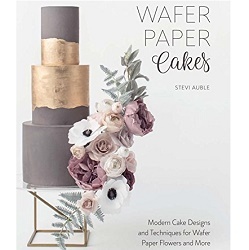 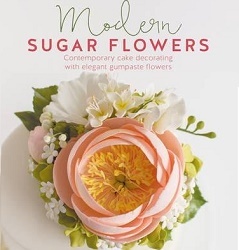 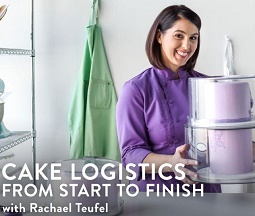 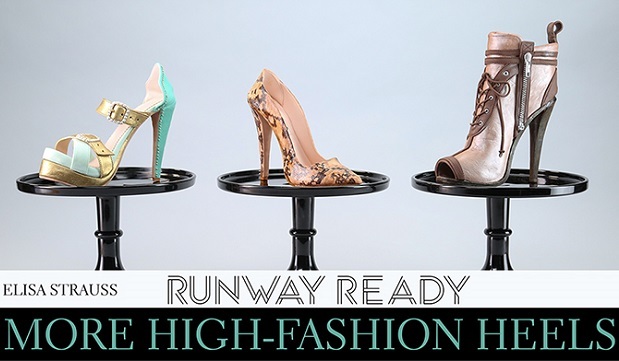 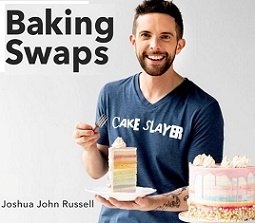 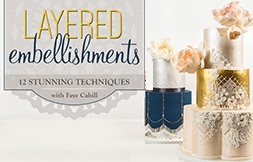 , by Karen Tack and Alan Richardson (who are also the originators of the stiletto cupcake trend we featured earlier: How to make Stiletto Cupcakes). 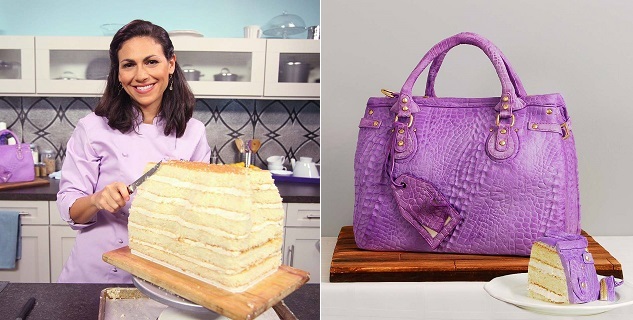 Elisa Strauss of the famed Confetti Cakes in New York teaches the chic designer handbag cake below in her class on Craftsy: Designer Handbag Cake Tutorial.